I’m pleased to announce this course is open for registration, and will begin on October 6th for six weeks, with a “graduation” conference call on November 17th. The course is designed to support a daily (or nightly!) 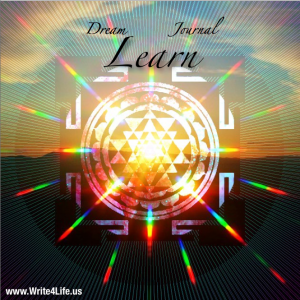 journaling practice, with special inquiry into the nature, the meanings, and the ability to tap into your nighttime dreaming life. Weekly conference call sessions are hosted by journaling coach, Nathan Ohren, host of the JournalTalk podcast. 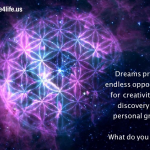 This course is intended for three audiences: (1) those who do not remember their dreams once awakened, but want to learn how, (2) those who want to understand their dreams for greater self-awareness and personal growth, and (3) those who want to learn how to induce their favorite dreams, and explore lucid dreaming. Assignments are given during weekly conference calls. Journaling coach Nathan Ohren teaches techniques for remembering, capturing, and understanding even the strangest of dreams. Why does your fourth grade teacher show up in a scene when you are late for work because elephants are walking across the freeway offramp? If dreams are the messages from our subconscious mind, why not learn how to decipher and interpret them? And, is it really possible to alter the content of your dreams by teaching yourself to become aware when you are in the middle of a dream? A pen, a notebook, and a “Dream Totem” are the only requirements for this course. (We’ll discuss the Totem in Week #2.) If you’re someone who does not usually remember your dreams, you will enjoy the techniques shared! In addition to journaling, you will be encouraged to explore fun homework assignments, tips, “reality tests”, and exercises to enrich the awareness of your dream life. A calendar of weekly conference calls is made available so you can get personalized training. A private page on Facebook is also available for those who want a bulletin board or “journaling circle” to communicate with others in the course. Please visit my webpage for registration! You won’t want to miss this unique opportunity to explore and discover something new about yourself!